Michigan has increased the number of kids in state-funded preschool by around 64 percent since 2012. In 2013, the Legislature and Governor Rick Snyder added tens of millions of dollars to the program’s budget. Today, state funding for GSRP is around $243.6 million. Richard Lower directs Michigan’s Office of Preschool and Out-of-School Time Learning, which oversees the program. He said there’s lots of research that shows Michigan’s investments in high-quality preschool are paying off. “The children in GSRP have reduced the need for special education services later on in the upper grades. They perform at or above their peer group on the M-STEP as measured in third grade in math and reading. They also have higher rates of graduation from high school way down the road,” Lower said. The NIEER report also gave Michigan high marks when it came to the quality of its state-funded preschool program. The state met 9 out of the organization’s 10 benchmarks for quality early childhood education. Those include having qualified teachers with a specialty in early childhood education and limits on class size. “GSRP ensures that there’s a very low staff-to-child ratio of one adult for every 8 children. We cap a class size at 18, so that there’s an appropriate amount of attention and individualization for children,” Lower said. Per pupil funding for the Great Start Readiness Program has also increased in the past five years from $4,422 in 2012 to $6,291. But despite significant investments, the state is still leaving some kids behind. Lower says the state estimates there are around 30,000 kids who would qualify for GSRP based on family income. But a combination of limited funding, as well as a shortage of space and providers in some communities, means there isn’t a spot for them. If the state wanted to give every eligible four-year-old a spot in the program, Lower said, they’d have to spend $500 million per year— more than double what they do now. One of the key recommendations to come out of a report from Governor Snyder’s 21st Century Michigan Education Commission earlier this year was universal access to preschool for four-year-olds in the state. Lower said opening up GRSP to every one of the approximately 117,000 four-year-olds in Michigan would cost around $820 million. That's a pretty big price tag. But, Lower said, it’s worth the investment. 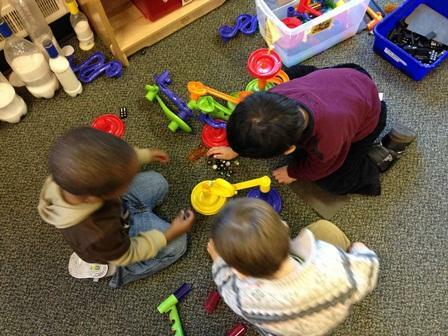 There’s a big, coordinated push in Detroit for more and better early childhood services. But first, its boosters need to come up with a plan. The biggest boosters—and likely funders—of this “civic partnership” dubbed Hope Starts Here are the Kellogg and Kresge Foundations. They’re rounding up groups and people with a role in Detroit’s early childhood services, from day care providers to pediatricians. Kellogg Foundation CEO La June Montgomery Tabron says the idea is to come up with an “action plan” that lets everyone can claim ownership.